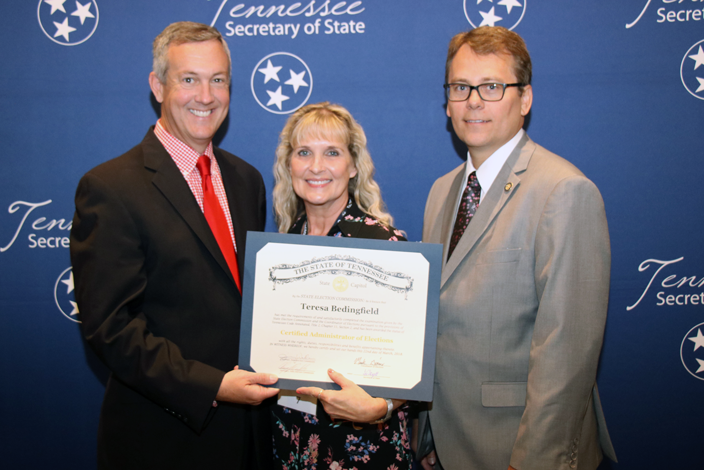 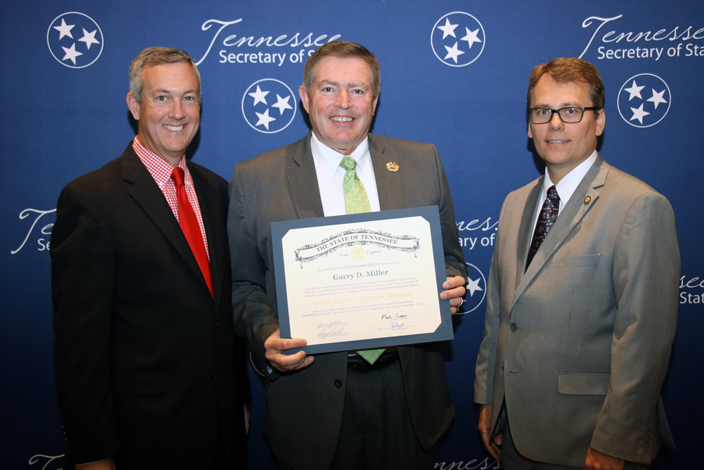 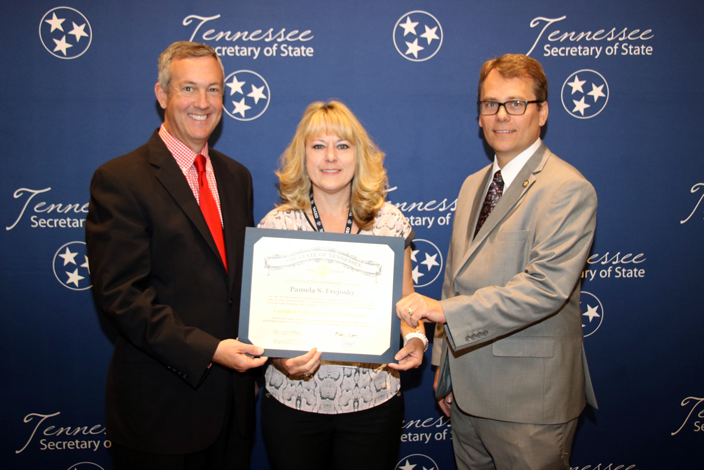 Secretary of State Tre Hargett and Coordinator of Elections Mark Goins presented each administrator with a certificate Monday at the annual Tennessee Association of County Election Officials (TACEO) summer conference in Nashville. 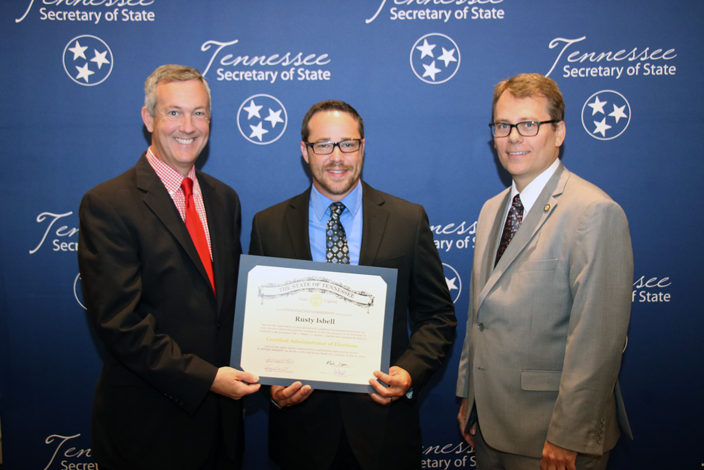 “I’m sure Tennesseans will join me in congratulating these administrators on reaching this outstanding achievement. 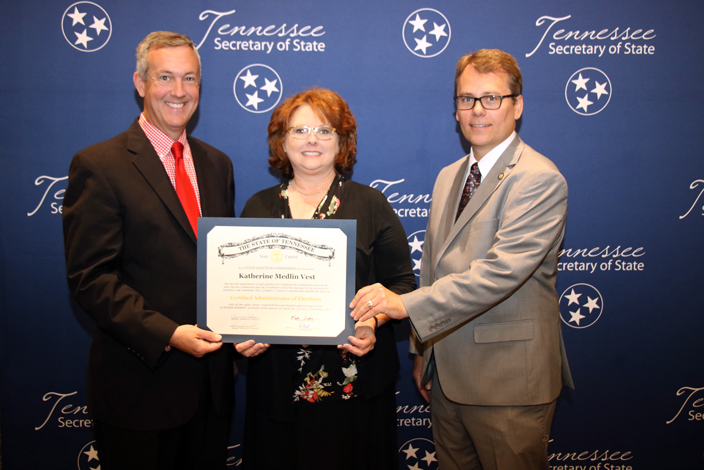 Certification adds one more layer of assurance that local election officials are running sound elections according to state law,” Secretary Hargett said. 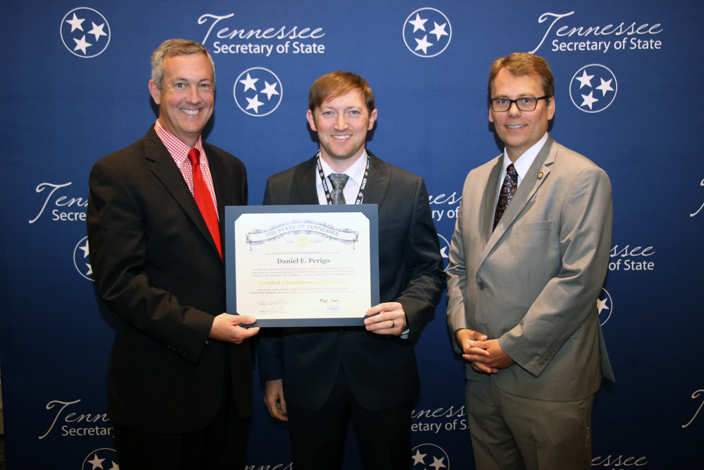 The exam, which is administered by the Division of Elections, is a rigorous closed book, written assessment that can last up to three and a half hours. 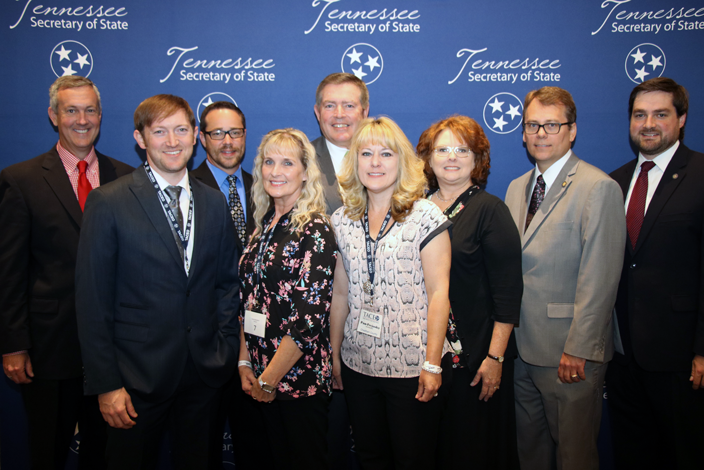 Questions, which are based on statutory requirements, range from voter registration to Election Day guidelines.